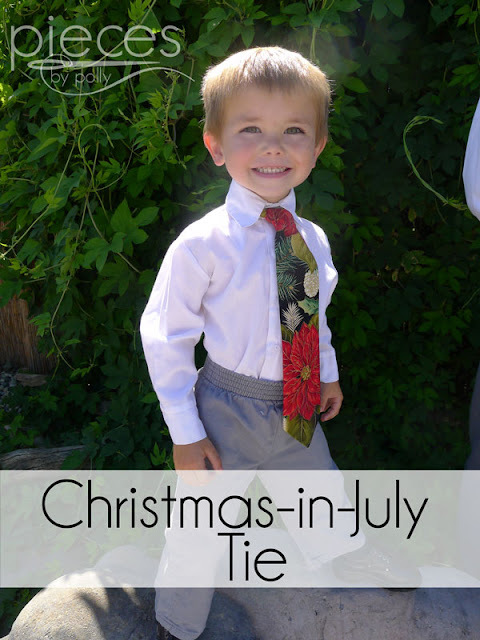 I'm excited to be guest blogging today over at Fort Worth Fabric Studio with these fun Christmas-in-July Ties. I realized a while ago that things get really crazy close to Christmas, so I need to get all my Christmas sewing done early. 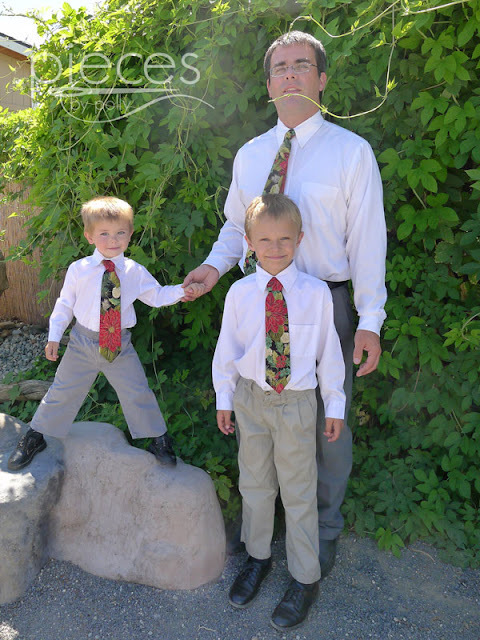 Over 15 years ago, I made my husband a Christmas poinsettia tie, and it's been one of his most commented on and complimented ties over the years. That old tie is pretty worn out and needed an update and of course the boys love to match their dad. This Christmas Splendor Poinsettias by Color Principle for Henry Glass fabric provided by FWFS is perfect for ties because it's super festive without being cheesy or irreverent, and gold metallic highlights are gorgeous. Click here for the full pattern and tutorial for the boys ties at Fort Worth Fabric Studios. This tie tutorial is amazing, thank you for sharing it! 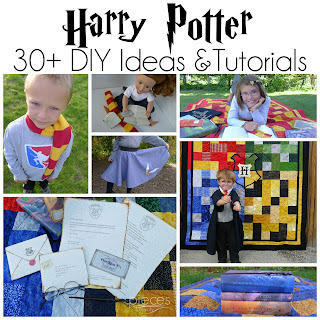 Also, I spy a lot of HP things happening on your blog, I'll definitely be snooping around for more information on that. 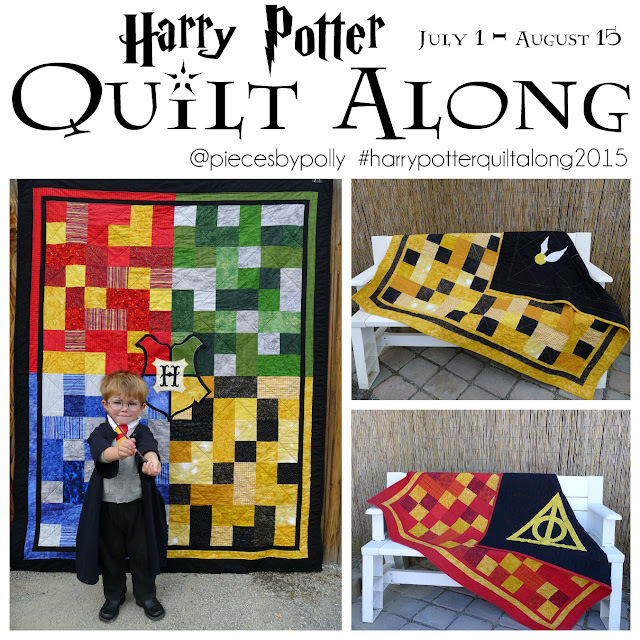 My sister and I are big Harry Potter fans as well. Fort Worth Fabric Studio brings the greatest people to my attention, I'm glad to have found you! What a cutie you have there, in his spiffy new tie!